"Success is 80% psychology and 20% mechanics. My team of Peak Performance Strategists will show you how to turn your average producers into superstars." Success is 80% psychology and 20% mechanics. We will show you how to turn your average producers into superstars. 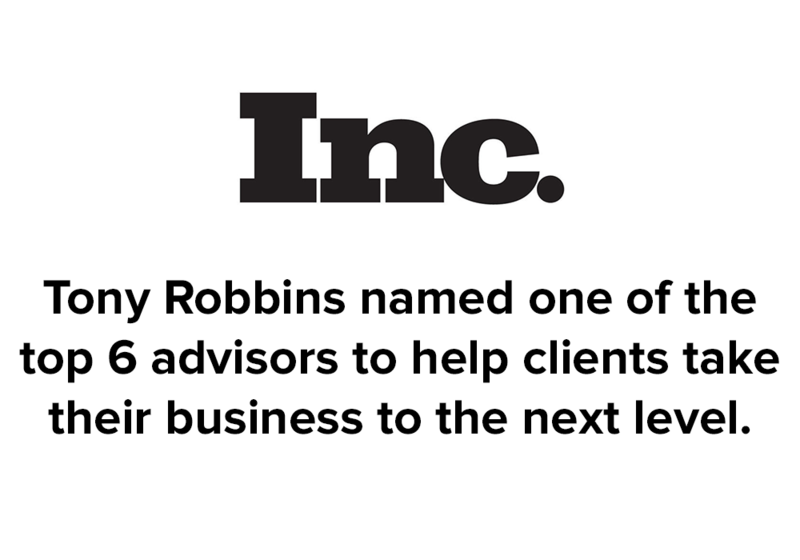 For a limited time, we are offering you and your team the opportunity to receive a private workshop at your office with a Tony Robbins Peak Performance Strategist — at absolutely no cost to you. Learn the three actions they absolutely MUST take to be successful in any business. Destroy the two obstacles that are dramatically limiting their sales. Discover the fastest method to double sales without spending a penny. Master a proven method for tripling referrals in any interaction. Develop an UNSHAKEABLE mindset to gain the competitive advantage in the industry. 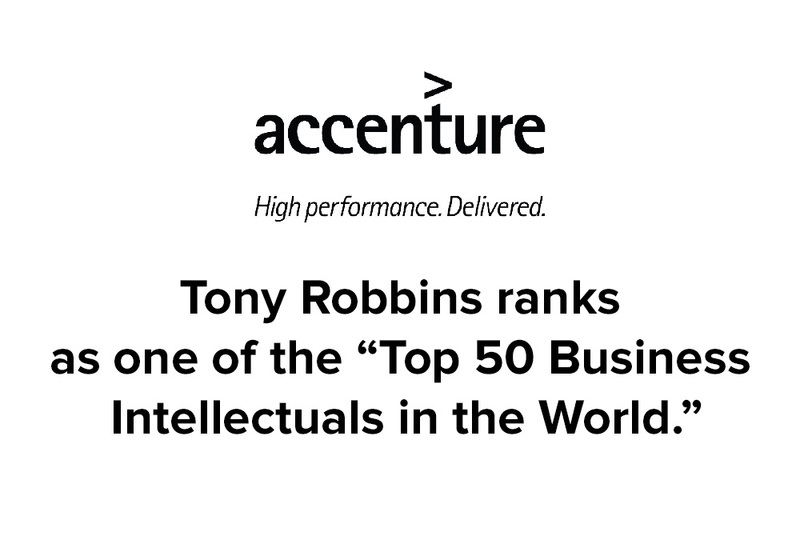 Tony Robbins has coached the world’s top business executives like Marc Benioff (CEO of SalesForce.com), Steve Wynn (CEO of Wynn Hotel Resorts), and Peter Guber (CEO of Mandalay Entertainment and co-owner of the Golden State Warriors and LA Dodgers). 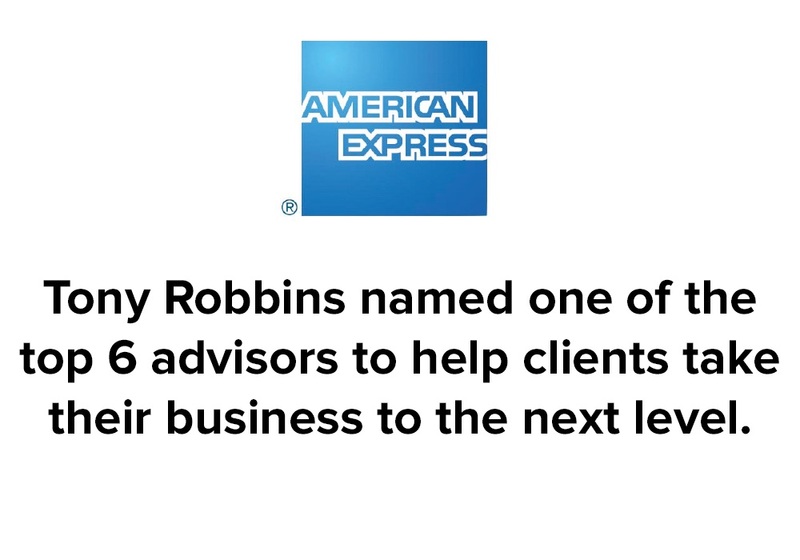 Robbins has also worked closely with people at the top of their game such as: Serena Williams, Hugh Jackman, Usher, Oprah and four of the last five Presidents of the United States. Tony has hand picked an elite group of Peak Performance Strategists to deliver revolutionary tools that will help your team maximize results and reach its true potential. Imagine your team's potential when they utilize these revolutionary tools and skills on a daily basis. What could your company achieve at its PEAK? Tony Robbins' proven three-step process for creating lasting change will help your team quickly identify what's holding them back from reaching their true potential and empower them to close the gap from where they are to where they want to be. Most people think of success as simply finding the right strategy. Here’s the truth, there are a million strategies out there, the key is finding the most effective strategy for your team – what works for some may not work for you. We will challenge your team to break through limitations and create a strategic plan for results and absolute success. Everyone has a business plan, but if you fail to plan strategically, you have planned to fail. And failure is simply not an option. More than 60% of salespeople miss their sales goals. The average salesperson makes two attempts to contact prospects, while 80% of sales are made after the fifth contact. 50% of sales go to the first salesperson to contact the prospect. 80% of your sales come from 20% of your sales force. Only 11% of salespeople ask for referrals. Ask yourself....What are these habits costing you and your business? In just one hour, a Peak Performance Strategist will create an immediate shift in your sales team's performance.